Forex Trading has many advantages as compared to stock or equity trading. Lets just quickly review a few of the advantages of including the Forex market. The Forex market is truly a 24 Hour Global Market opens from Monday to Friday. The Forex market starts each trading day from Sydney, Tokyo, London, and finally to New York. Regardless of whether it is in the day or night, there are always market participants actively trading the Forex market. Forex traders can respond very quickly to any currency fluctuations or breaking news immediately unlike the stock and future market. The ECN’s (Electronic Communication Networks) in stock and future market are relatively new products derived as an after-hours extension to the regular trading hours. Many of these ECN’s have ill liquidity and there is no guarantee that a trade will be executed, or at a fair price. Usually, stock or future market traders would have to wait until the real market opens the next morning in order to execute a trade at fair value. The Forex market is the largest and most liquid market in the world. According to a survey conducted by the Bank for International Settlements (BIS) in April 2007, average daily trading volume for the Forex market reached an all-time record high of US$3.2 Trillion. A 71% increase from US$1.9 Trillion that was traded in April 2004. This increase is due mainly to the participation of retail investors utilizing the broker’s electronic trading platform. This tremendous turnover is more than all the world’s stock markets combined on any given day. With a daily trading volume larger than all stock market combined, this will ensure price stability. With such liquidity, Forex Trader can open or close a position without much difficulty and most importantly, will receive a fair market price. There is no such thing as “bull” or “bear” market in Forex. In Forex, it is of no concern whether the economy is booming or in a recession. For stock trading, profits are usually made when the economy is booming. But we all know that the economic cycle is cyclical – all things that go up must come down. This is not the case in the Forex market. Regardless of how major economies are performing, currency exchange rates are always fluctuating, and this, in turn, will provide a trading opportunity for traders to gain profit. 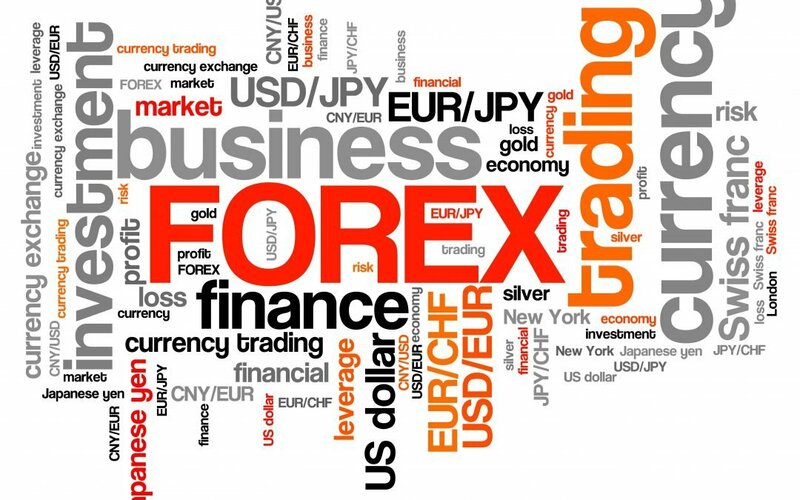 There are not many major currency pairs traded on the Forex market. Therefore, traders may have a better feel of price movement patterns and behavior. Whereas in the stock market, there is literally thousands of stock to monitor and it is not easy to follow so many of them. Nowadays, the minimum amount needed to open a trading account is less than $300. Due to competition, some brokers may even accept much lesser amount. In the Forex market, this small trading amount could potentially earn hundreds of dollars per week. In the stock market, this may not be possible. Of course, both markets have the potential to lose as well, but in the Forex market, traders can make good money with much lesser trading capital. High Leverage of 100:1 – 100:1 leverage is commonly available from online Forex brokers. This substantially exceeds the common 2:1 margin offered by equity brokers, and 15:1 in the futures market. Some brokers even offer higher leverage of 100:1. However, it is important to remember that while this type of leverage allows investors to maximize their profit potential, the potential for loss is equally great. Leverage is a double-edged sword and necessitates the use of proper money management. Without proper risk management, this high degree of leverage cans also leads to big losses as well as gains. Forex Trading has a unique feature called “Demo Account” or simulate account. This “Demo Account” allows the trader to trade using real-time price on the broker’s trading platform with the exact interface and function as a real account. With this simulated account, Forex trader could gain real market experience in trading without risking any capital. With Forex Trading unique advantages, it’s of little wonder that more and more retail investors are participating in the Forex market utilizing broker’s electronic trading platform that are widely and easily available.